Waste Management of Arizona (WMAZ) provides waste and recycling services to thousands of customers throughout the state. 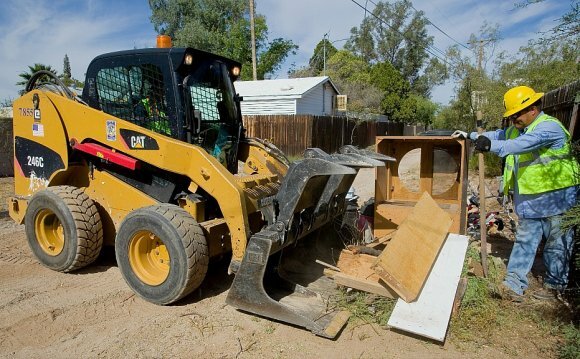 Our employees provide residential and business trash pick-up, roll-off services, residential/business recycling, and Port-O-Lets for construction sites and events. WMAZ employs nearly 1, 000 employees statewide and services nearly 500, 000 customers throughout Arizona. WMAZ is dedicated to providing excellent customer service to our customers and communities. We strive to increase awareness of environmental issues in Arizona, and we will continue to be good stewards of our great state. WMAZ operates several transfer stations and landfills in Arizona. A transfer station is a temporary storage facility where waste is unloaded from collection vehicles before being transferred to larger trucks for shipment to landfills. Some of our transfer stations also sort recyclable materials before they are sent to a Materials Recovery Facility (MRF).